Epic fail again – summer came and I forgot to blog! But that doesn’t mean I’ve been idle, far from it. It’s been a busy time campaigning for the public library service, reading lots of excellent books, and even getting a bit of allotmenting done. I’ve attended several of the public meetings organised by Leicestershire County Council to persuade us that volunteers can run the library service. These meetings were heated. Very heated. It’s heartening that so many people care and are so angry about the proposals. The statistics quoted by the Council representatives were flawed. Their position- that this was a consultation – was exposed as a sham. We gathered signatures on petitions, demonstrated outside libraries, wrote passionate letters and emails, and even got our picture in the local rag. Their decision will be “made” next Friday. Watch this space, or even better, the Library Campaign at www.librarycampaign.com. Books-wise, I’ve read a few…. Highlights have been The Girl with all the Gifts by M.R. Carey, a rollicking zombie apocalypse thriller with an intriguingly different central premise. Couldn’t put it down! Austerity Bites: A journey to the sharp end of cuts in the UK by Mary O’Hara also was hard to put down, mainly because it was so utterly shocking. I urge everyone with a social conscience to read this book. And Far from the Tree: Parents, children and the search for identity by Andrew Solomon was magnificent; a very long but rewarding exploration of how parents learn to love (or not) children who have “horizontal identities”, based on hundreds of interviews with real people. It made me both laugh and cry, and I think made me a better human being for having read it. 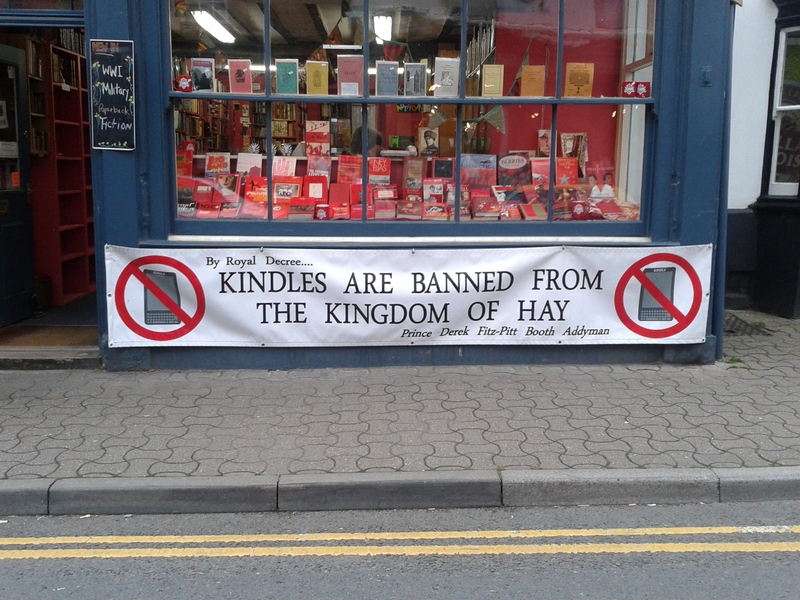 If ever you get the chance to visit Hay, please do so. 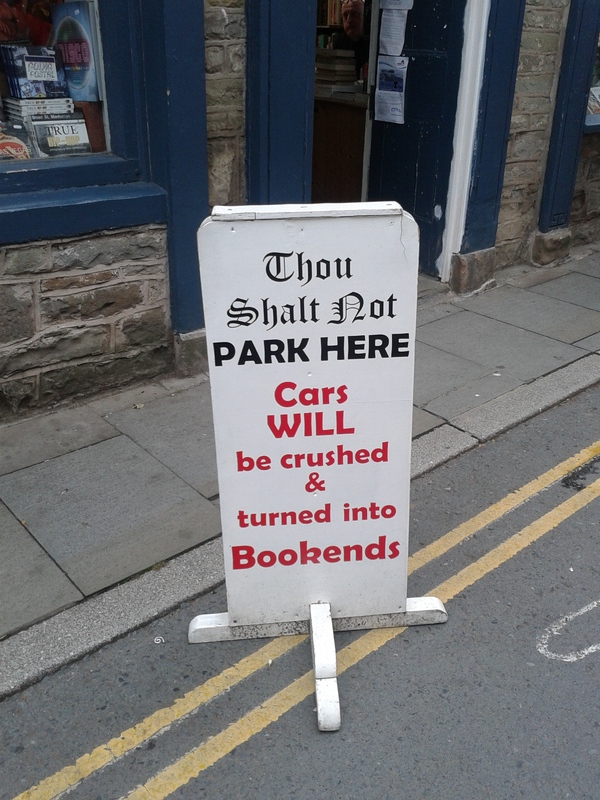 It’s a fascinating place steeped in quirky history, and the booksellers are keeping a very venerable tradition of reading print books alive. Other than that, I’ve been up to lots of other things that shall remain my own business, but it’s been a good summer and many excellent books have been devoured. I’ll try and remember to share them…! This is the first of a series of posts on why I take issue with Leicestershire County Council’s (and the Government’s) agenda to have libraries run by volunteers. That phrase “nice little job” has haunted me my entire professional life.But just as not everyone that works in a hospital is a doctor, and not everyone that works in a school is a teacher, not everyone that works in a library is a librarian. To become a librarian you need to have a degree in Information and Library Science (ILS), preferably at postgraduate level with a first degree in a specialist subject. So if you want to be a law librarian, you’ll have a law degree as well as your ILS degree, and if you want to be a medical librarian, you’ll have a medical degree. (Interestingly, when I was applying to be a librarian back in the 1990s, I had to get much higher grades than my friends who were applying to be teachers.) Traditionally you’ll also then become Chartered (like an accountant or surveyor) which, in grandiose terms, is a licence to practice your profession given by the Queen, but on a more prosaic level, means that you’ve gained enough experience and demonstrated enough commitment to continuous professional development that your peers (in the form of the Chartered Institute of Library and Information Professionals) judge you to be good at your job. A degree in Library and Information Science will teach you how to interrogate, retrieve, organise, interpret, synthesize, and evaluate information of any type in any format, and crucially, how to make it accessible to other people, as well as teach them these vital information literacy skills. As we’re in the Information Age and the range of formats that information comes in are now wider than ever, a librarian’s knowledge-base needs to be wider than ever – they are becoming more highly-skilled as the internet advances, not less. 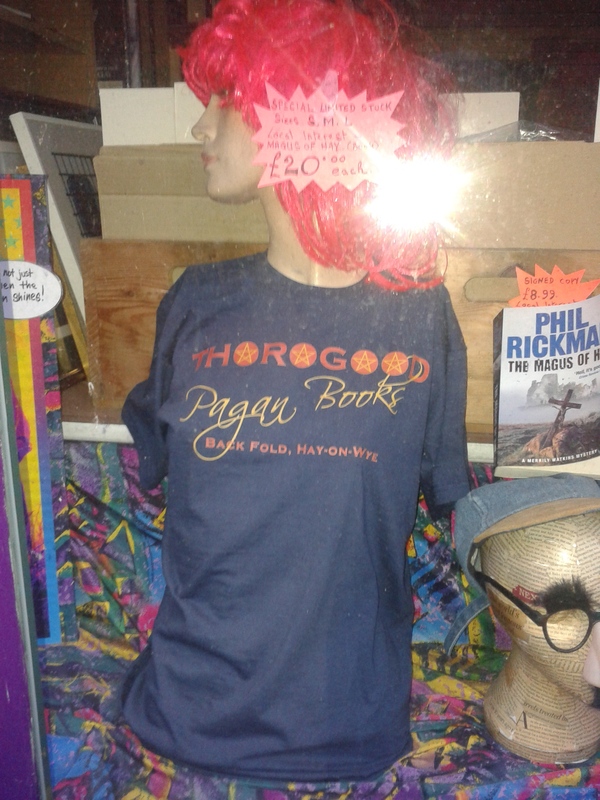 We’re certainly not an anachronism. An ILS degree also teaches you the intricacy of copyright and data protection law, database design and management, organisation management (libraries are managed the same as any other organisation so we need those skills too! ), marketing, teaching (librarians also teach so we cover the same content as a PGCE)…. And before I start bandying about words like informatics and metadata and content management systems, let’s just say that we know a lot about a lot of things. So the librarians in a library aren’t generally stamping your books out, or showing you where the books on local history are. These are library assistants, how make sure that the day-to-day running of the services go smoothly. The librarians will be the ones managing the service at a local and national level, answering complex information enquiries, and ensuring that the resources you might want to use (both print and digital) are available for you to use. We’ll be negotiating access to electronic information with content aggregators so people can use it (not all information is free nor is it all the internet – another myth!). The key thing to remember about a professionally qualified librarian, is that we’re not in it for self-promotion or money – none of us are rich! – we gain our skills so that we can help others. And because it costs a bit more to employ a librarian than a library assistant, there aren’t many librarians left in the public library service. The service has already been eroded over the last twenty years by a vicious culling of librarians (but badgers are cuter so they get more press!). The ones that are left are running ragged trying to provide a seamless service for members of the public. In the sixteen years that I have been involved with Leicestershire public libraries, there has been a “restructure” almost every year. In each of those restructures, librarians were deleted by the Cybermen (sorry, Council), so the number has dwindled year on year. It’s been a time of austerity for us for about twenty years. So when the Council withdraw their support for community-led libraries after five years, which is their plan, those community libraries will have no access to professionally qualified staff. And when a few community-led libraries do “okay”, they’ll be cited by politicians as proof that the idea works, and the remaining libraries and librarians will be under threat too. I think everyone in our society deserves the service of professional library staff supported by well-trained assistants. And these people deserve to be paid for the work they do in supporting and empowering their communities. In the meantime I think it’s unfair and disingenuous to expect the surviving Librarians to support the community-led libraries, when their workload will already be excessive. Would you expect any other profession to train and support their unpaid replacements? Would we tolerate this if it were teachers, police officers, judges, vets, solicitors, etc? Love Your Librarian. We are the defenders of your right to information. That’s why the powers-that-be don’t want us around. We are the superheroes! The library assistant is generally an intelligent, inquisitive, organised and public-spirited soul. They work very hard for low rates of pay, which is why cutting their jobs from the smaller branch libraries is so sickening. But they’ve absorbed information from the librarians, had a lot of training, and are knowledgeable about their branch, dedicated to providing a service to the public. Don’t ever forget that the volunteers are replacing paid staff – people will have lost their jobs in your local library. It wasn’t library staff that caused the recession, so why should they suffer? And mmm…. it’s odd and disturbing, but I can’t help but notice that there is also a gender issue hidden in the Council agenda. The majority of library staff are female, working part-time, and for low rates of pay. Why is always the women who lose their jobs first? Why is it women who do proportionately more volunteering? There’s so many issues there…. Next time I’ll look at what a library actually is, and what a community-led library might be. Just what is a library volunteer and what might they be expected to do? I’ll also be looking at issues of ethics and equality, the legal background.